It is not the first time that science focuses on the relationship between chocolate and heart arrhythmia and, by extension, on the benefits of dark chocolate for the heart. Science has found the good news that eating chocolate reduces the risk of arrhythmia. Its sweet taste is tempting, as much or more than the healthy benefits reported by an ounce of chocolate, a source of antioxidants. That yes, it is taken in moderation and as part of healthy habits. The scientific study conducted by researchers from different institutions in the United States and Denmark finds that chocolate is good for the heart, and can protect it from some types of arrhythmia. To carry out the research, as the study published in the journal Heart, the habits of consumption of chocolate in a sample of more than 55,000 people, between 50-64 years, were analyzed. All of them participate, in turn, in a project on health and eating habits promoted by the Research Center of the Danish Society against Cancer. Researchers found that in the group that consumed 1-3 portions of chocolate, at least 10% of those with arrhythmia were reduced compared to those taking only one portion. 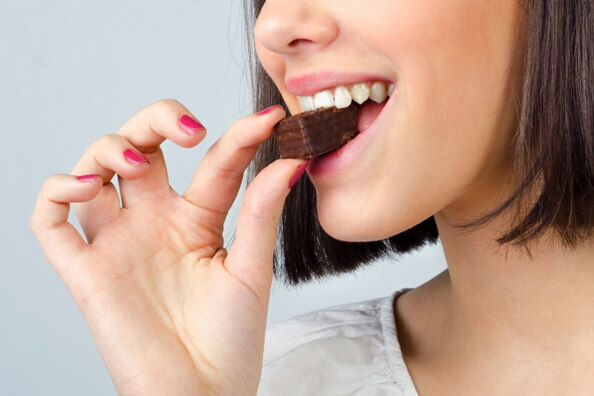 A relationship much more evident among the group of women who ate chocolate once per week, growing up to 21% who did not have the arrhythmia. Researchers have also taken into account the factors that are most often behind this heart disease, diet and smoking. Logically, this study does not mean that simply eating chocolate prevents heart problems. It’s not going to do anything, for example, if we follow a diet rich in fats and sugars, an enemy of cardiovascular health. Another previous study, conducted by German researchers and published in the European Heart Journal, also pointed out that eating small portions of chocolate reduces blood pressure levels, a risk factor for cardiovascular disease. Not all chocolates are the same. The more cocoa, the healthier, so the best option is one ounce of dark chocolate (6 grams/day).